I imagine all parents of dyspraxic kids read their child’s end of year school report with some trepidation. I’m always surprised at something in it, even though I have regular meetings and a home/school diary so I know what’s going on. I always know that I’ll see ‘not reaching expected standards’ (or whatever jargon it is), and even though I’m prepared for it I still feel like I’m going to cry to see those ticks in ‘that’ box. And then I’ll calm down, and realise there are some nice things in it (apparently she’s charming and polite!). And then I’ll feel like “OK, we’ll see who doesn’t know their flipping 3D shapes!” And I’ll have great plans of how I’m going to transform my dyspraxia kid in the summer holidays and she’ll be totally fine next year. Except of course, much like everyone else, these great plans never actually end up happening the way I want. Six weeks goes surprisingly quickly (although there are days when it doesn’t seem like it) and there are holidays to go on, playdates and parties, work and housework to do, and they actually just want to play–selfish! So this year, I have an actual plan! 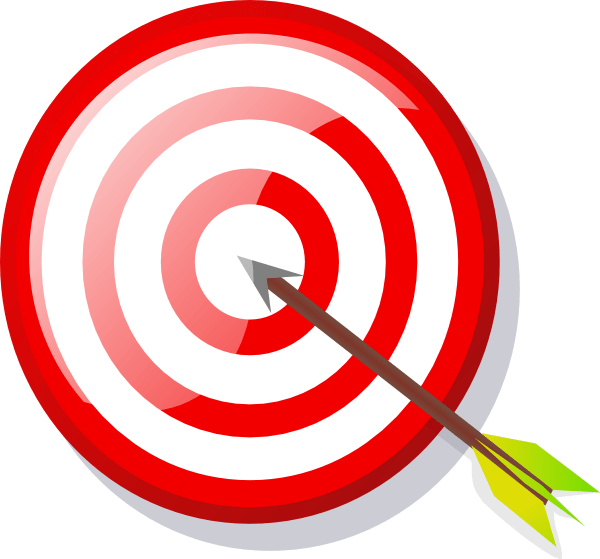 I’ve identified some summer learning targets, and then I’ll break this down each week, and then decide the day or so before what we are going to do. In theory, breaking things down into smaller chunks makes them more achievable. It’s also reassuring for a child with DCD to know what they are going to be doing on certain days, so I’ve even included things like ‘visit Nanny and Grandad’ so she can see what’s going on. 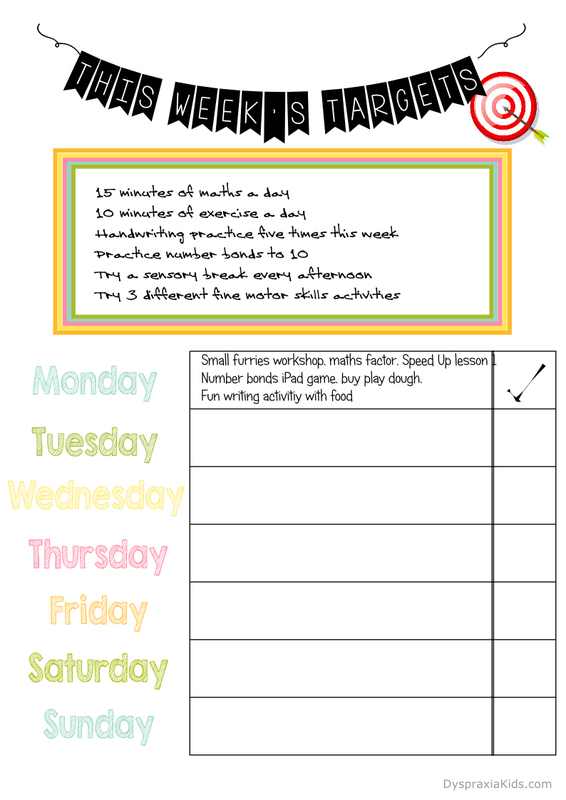 I’ve designed a Summer Learning Targets printable, and a This Week’s Targets printable that I’ve put on the fridge. I consulted my little dyspraxic wonder about what summer targets she was thinking of. She thought for a while: “Make perfect play dough shapes!” Not what I was expecting, but it’s important to listen to them so I put that down too. Actually, seeing as this helps with the pincer grip, fine motor skills, and improving hand strength, it’s actually quite a good one. I’ve even got two tubs of theraputty, which are a bit firmer than play dough, to incorporate into this target. We also have things like learn 3D shapes, learn number bonds to 20, learn to write name in joined-up writing, learn to tie shoelaces… So, enough of me babbling about our goals, what are yours? You can print off our charts for your own personal use at home, and please don’t feel like you have to fill in all of those target bubbles–there’s quite a lot. To download blanks of these, just click on the images below. You can either tick off the boxes as you achieve each target, or get your kids to colour them in, or even use the old faithful stickers. Anything that makes it seem like an achievement. I don’t know about you, but I always feel better when there’s a plan, and I’m very hopeful that this summer is going to be a successful one. No summer learning loss in this house!! Please please let me know how you get on–I’d love to hear from you. PS. 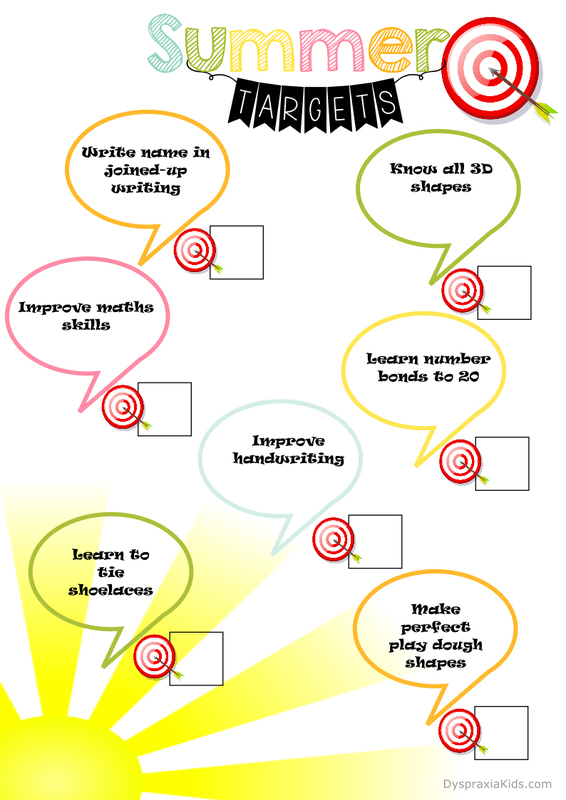 If you have a lot of maths targets, like we do, we are already having great success with the Maths Factor. I can’t believe the difference already. Her dad even said, “Why don’t you do maths this well at school?” As we already subscribe, you can click this link and it will get you your first month for £1–so a lot of the summer holidays will be covered for just a pound. Thank you for useful information. It’s comforting to know I’m not the only person experiencing these challenges.